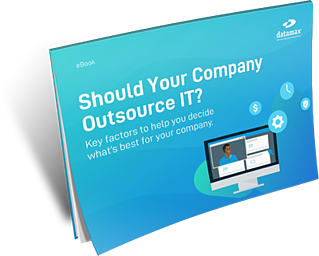 Your FREE Guide to help determine whether your Company should outsource its own IT. Unclear about outsourcing your IT to a Managed Services Provider? This will help! Nearly 70% of U.S. small to medium sized businesses (SMBs) work with an IT service provider for some or all of their IT needs. There are many considerations for SMBs thinking about moving their IT to another company. In this eBook, we’ve summed up the key factors to help you decide what’s best for your company. We'll help you answer the following questions! What exactly is an MSP (Managed Services Provider)? Why SMB's are adopting Managed Services? How Managed Services are allowing businesses to better focus on their core competencies? How to take the next step with outsourced IT? Complete our form to download our free guide today!